Bob has a BA from Tennessee Temple University (History/Bible) major, an MDiv and a DMin from Temple Baptist Seminary. He is an ordained Baptist minister with 9 years pastoral experience. 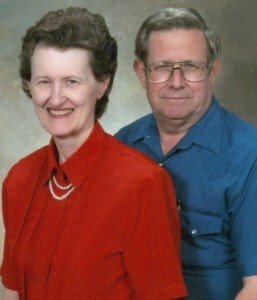 Marie worked as a church secretary for 4 years, as a legal secretary 19 years and 5 years with another ministry. That ministry published a monthly letter to an address list of around 2000 names. She did the typesetting, layout, camera work, printing, addressing, stuffing and mailing of the letter, much of the time with no additional help. In 1990 we told some friends who were going to Eastern Europe that if they needed some help with their prayer letter to let us know since we had some experience at it. After they arrived on the field, they called and asked us if we could take care of it for them. That December we started doing their prayer letter for them mailing it 1st class. The next spring we were talking with another missionary who asked us if we had considered getting a bulk mail permit. We told him that since we had our house for sale we ha not, but after it sold and we relocated that we would start that process. In early 1992 we began the process of getting our bulk mail permit and non-profit authorization with 2 mission boards. In April 1992 we made out first bulk mailing. In the process of trying to find a mail list management program we obtained one that processed the addresses by checking them against the addresses in the national postal database and adding the +4 extension to the zip code. This allowed the address label to be printed with a barcode and our mail to be automated. When we started we were doing almost everything by hand. As the business has grown, we have added equipment to do more and more of the work. For several years we had our own small print shop with a darkroom and camera and two offset presses. Now we are having the offset printing done elsewhere due to space limitations. We have maintained a Risograph, two digital photocopy/printers, a folder/inserter (which also seals the envelopes), and a direct-impression printer (which prints the address information directly on the envelopes) in addition to smaller laser printers. We have had an e-mail account and been receiving prayer letters via email since 1994. This way a missionary can e-mail a letter to us, we can print and mail it, and the people on the mailing list will receive it in less time than it would take it to get from the missionary to us using regular (snail) mail. Our normal turn-around time is from 4 to 5 working days, with the exception of November and December.